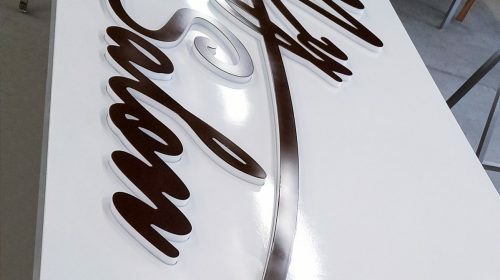 Reverse Channel Letters are a great option if you need an elegant and eye-catchy sign. 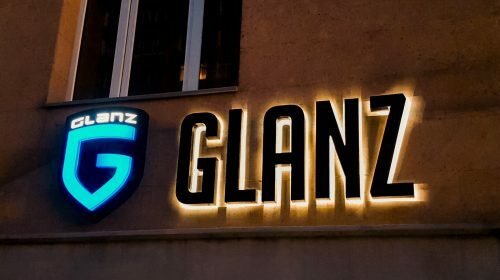 Make your establishment easily noticeable with attractive Backlit Channel Letters. Back lit Letters are ideal for both indoor and outdoor use. These Signs are illuminated with energy efficient and durable LED lights. The lights are fixed on the back of the letters, thus the light is facing the wall. 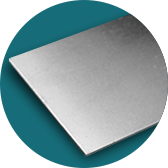 Often, the body of the letters is made of high-quality Aluminum. With reverse illumination, your sign will have a floating effect in the dark and will immediately attract attention from afar. 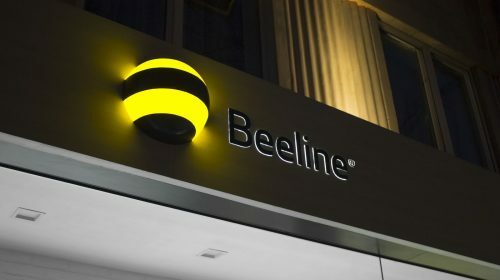 Create corporate presence both indoors and outdoors with the help of striking Reverse Channel Letters. 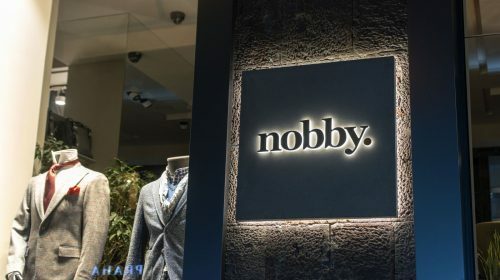 Use Back-lit Channel Letters to depict the name of your brand on the storefront and attract customers to your company. Whether you own a restaurant, bank, shop or any other establishment, Reverse lit Channel Letters will provide an effective advertisement 24/7. 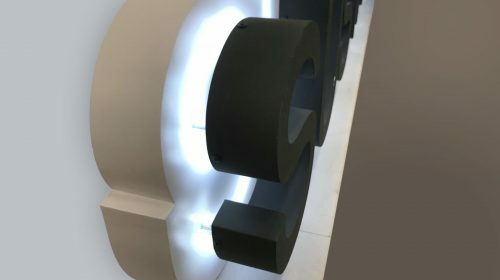 Halo lit Channel Letters can be used indoor in offices, hotels lobbies, you name it. 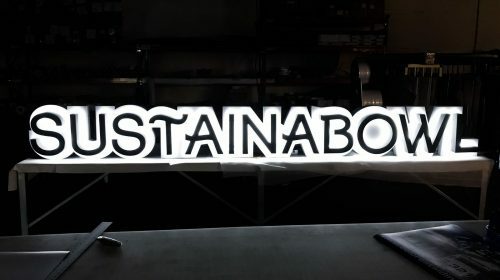 Use backlit letters indoors for both decorative and business purposes to display your desired message. There are several installation options for Reverse Channel Letters. Front Signs offers installation services as well. Our professional craftsmen can come and accurately install your signs. 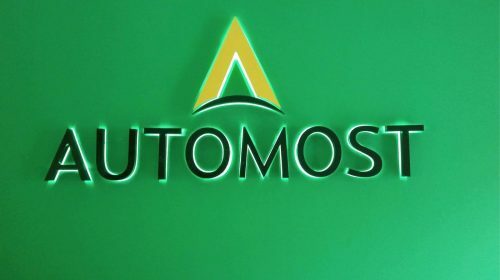 Reverse Channel Letters can be wall mounted indoors or outdoors with screws and spacers. The latter one creates space between the wall and letters, to let the light fall on the wall. These letters can also be installed on a raceway. 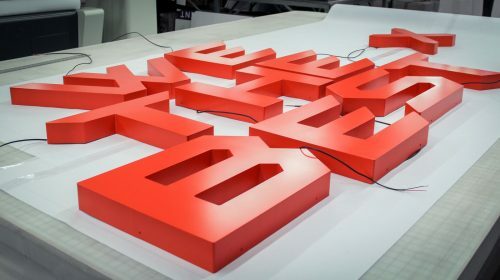 The installation options for Reverse Channel Letters depend on the size of the sign and on the location where they need to be installed. 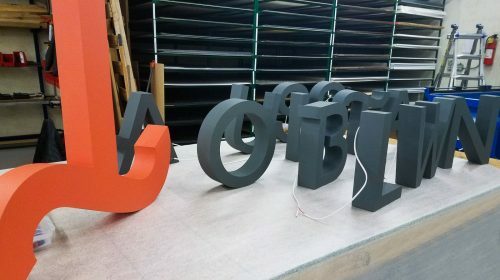 Channel Letters - These face lit Channel Letters are perfect for providing a constant promotion. 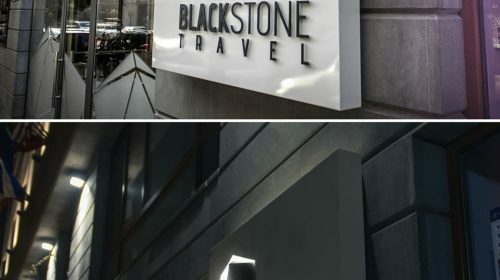 Illuminated with energy efficient LED lights, Channel Letters can easily be noticed both day and night. 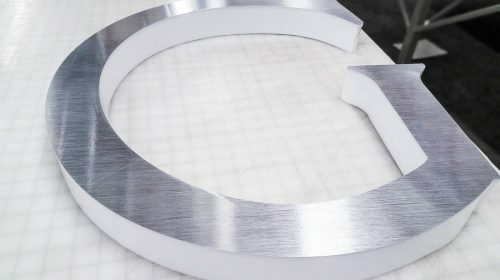 Halo Channel Letters - These Channel Letters are different from others by their illumination option. With Halo Channel Letters the sides are the only part of the letters that are illuminated. The front and the back parts of the letters are Aluminum, while the sides are Acrylic to transfer the light. 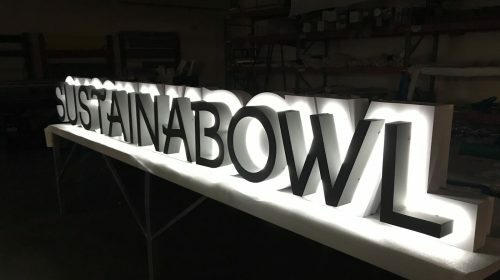 Illuminated Letters - Take your advertisement to a new level with Illuminated Letters. Display the name of your company indoors or outdoors and let everyone know about your brand 24/7. Choose your desired material and illumination option and advertise your brand even at night. 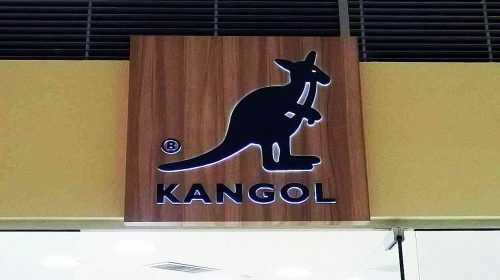 Lightbox Signs - If you need something more than just illuminated letters, then you can get Lightbox Signs. These are perfect for displaying the logo of your brand indoors or outdoors, which will be noticed 24/7 with LED illumination. We offer non-illuminated and lit letter signage. You can create create dimensions and brand style with 3D office signs and exterior building logo signs. Furthermore, push thru letters create mind-blowing dimensions whilst used indoors and outdoors. Letter signs can be backlit, front-lit or both. 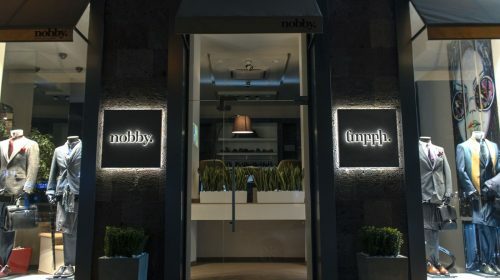 All the types of illuminated letters welcome and create an exceptional impact on the visitors: guests, workers and clients. 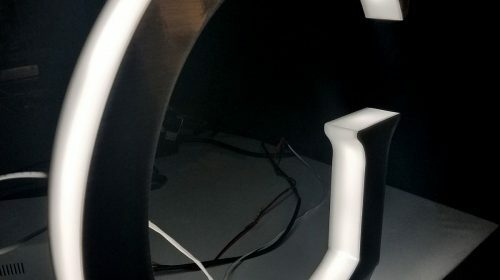 Reverse lit letters create special glow which is so appealing. Whereas, front lit build up letters perfectly merge with surroundings and stress the logo and create a warm feel.